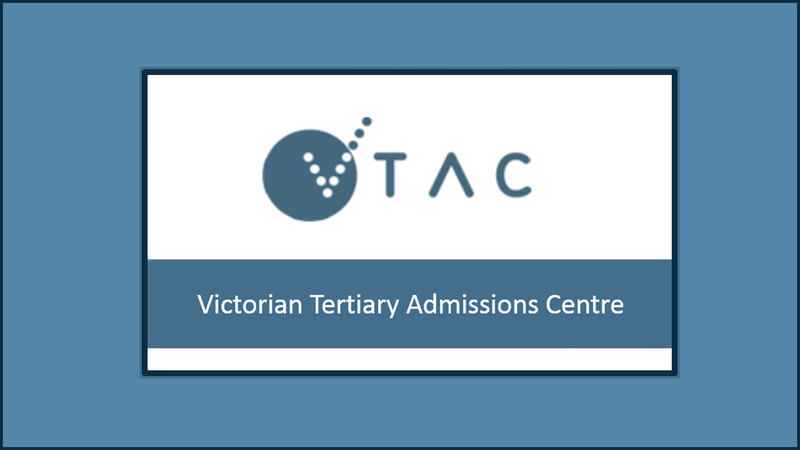 Current Year 12 students wishing to apply for courses commencing in 2019 can start their VTAC course applications now. Applications have been open since Monday, 6th August, 2018. The deadline for timely applications is Thursday, 27th September, 2018, at 5.00 pm. Year 11 students may find it useful to familiarise themselves with the process. Please click here for the VTAC website. VTAC opens for applications at 9.00am on Monday, 6th August, 2018. The cost of the application processing fee depends on when you submit your application. While you need to apply by these deadlines, you do not have to pay your fee straight away. Please click here for more information. There are no additional fees for submitting a SEAS or scholarships application, or for changing your preferences. Applications for a limited range of courses will be accepted after the main round of selection has been completed. For more information, check the VTAC website in early January, 2019. VTAC does not issue refunds on course application processing fees (except as required by law). You remain liable for the fee even if you withdraw your course application. For more information on VTAC Publications and Factsheets, please click here.